Bring out the backup bitter! 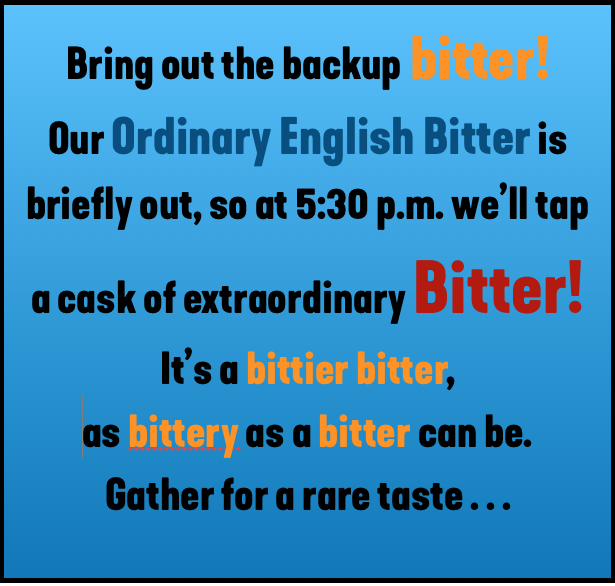 a cask of extraordinary Bitter! as bittery as a bitter can be. Gather for a rare taste . . .